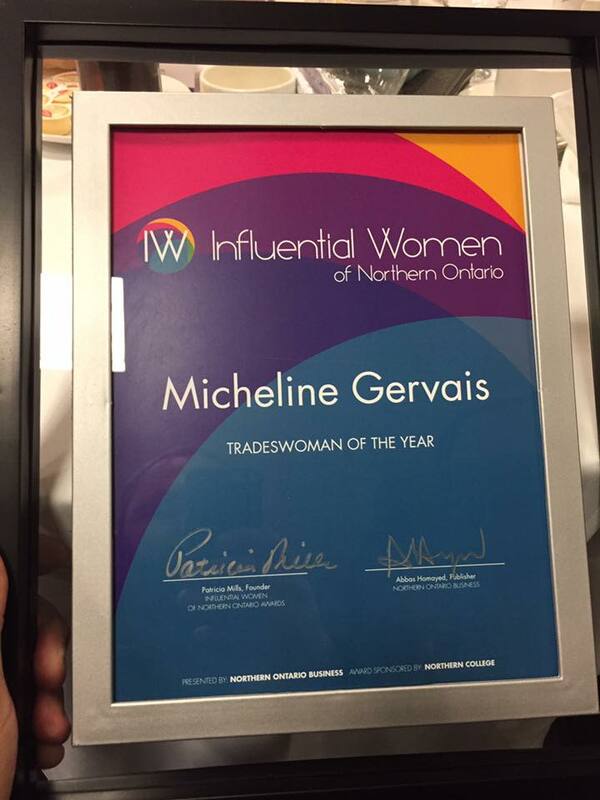 We are proud to announce that DST Project Manager Micheline Gervais is the recipient of the 2017 Influential Women of Northern Ontario Award for Tradeswoman of the Year. 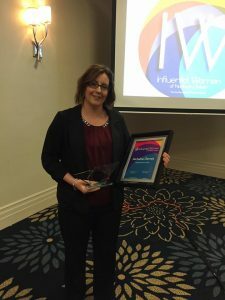 This award is presented annually to a woman who excels in a non-traditional career, someone who is respected by her peers, colleagues, and community members, and who shows passion for her work. Micheline is all of this and more and is truly deserving of this recognition. At work and in the field she is respected and has a reputation for being dependable, resilient, and creative in her approach. She is known for resolving conflicts and handling difficult situations with remarkable patience and admirable tact, and is a well-rounded team player who always gives 100% to colleagues and clients. Her skills do not end with her office work. She projects a positive, cheerful attitude and can be counted on to bring energy and focus to meetings. Many clients have come to view her as more of a trusted advisor than a service provider. Micheline also happens to be a working mother who plays an active role in the community. Her spare time is spent with her family and contributing to various environmental and community initiatives. She is passionate about her work, eager to take on a challenge, hardworking, and always tries to lift the spirits of those around her. It is these characteristics that make her an excellent role model and a talented project manager who embodies all the key qualities of an outstanding tradeswoman. 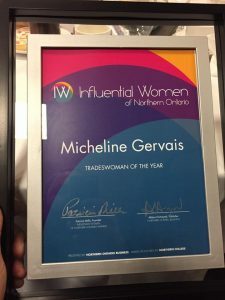 From all of us at DST, congratulations, Micheline, on this great honour.